Moving Forward Despite The Struggle Is The Key To Your Success! Don’t Give up when things are going rough! That is my advice to you! I know things may be going slow and it may seem like progress is a lie but you must stay the course if you want success! Today I decided to check my email after traveling all day to attend training. 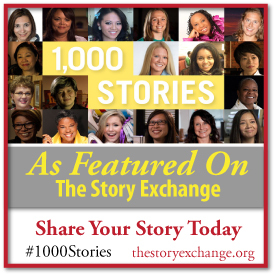 I was very surprised to see that I had been featured on The Story Exchange website. I never thought that I would be close to having my story featured when I submitted it a few months ago. I just thought it would not hurt to submit my story even though I really believed that It would never be featured since hundreds of women submit their story daily. At the time I submitted my story, I was undergoing a lot of stress and had lost hope in the dream I once had but there was a little nerve in me to keep pushing despite all of the drama that had been happening in my life. I now feel proud of myself for taking that extra step and kicking the inner critic to the curb. Allah is great! I could not have not accomplished this without His will and permission! Alhamdulilah(All Praise is due to Allah)! I have been making slow progress but it is all meaningful! I am so thankful to Allah for this opportunity! Next PostNext Staying The Course With The Fit Muslimah 40 Day Challenge!